Though not quite a hole-in-one, Infinite Minigolf swings for family-friendly fun and follows it through to a tee. Zen Studios’ latest is a wonderful example of a simple game that utilises its base mechanics well. It’s fun to play, easy to control and almost elementary to understand. It’s a pleasing spectacle both visually, and to play. 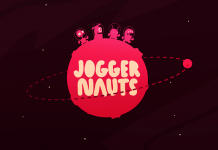 Its striking, bold and colourful pallette gives the game a cute and cartoony look. The characters and environments would look right at home in a Pixar film, which is a great pairing considering the playful and creative nature of the game. Infinite Minigolf isn’t just about who can guide the ball to the cup in the least number of shots. 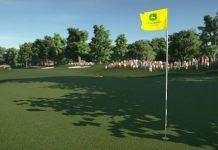 Players are awarded points based on a number of factors including strokes, gems collected and ricochets at the end of a hole. 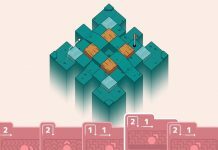 Collecting gems can be a tempting attraction to bolster your score, but they’re often harder to reach. This adds an interesting risk/reward element to gameplay, requiring players to take some tricky shots. Power-ups such as boosts, remote control balls, magnets and jumps can also be found scattered across courses to add additional challenge and possibilities to their design. Sometimes they’re required, sometimes not. But its always fun to experiment with them. Whether golfing solo, with friends or creating your own course, your first choice is which of the three worlds or themes to play in. “Giant Home”, “Nightmare Mansion” and “Santa’s Factory” are all thoroughly different from each other in terms of environment and setting. Each has its own cast of characters that may help or hinder you, should your ball get too close to them. The variety of objects within each of the worlds is fairly large too. So, when you combine the three together, there really is quite a vast amount of content to be had here. Infinite Minigolf humbly brags about this fact as a small counter on the title screen shows how many courses are currently available. Bear in mind at the time of writing, the game is still pre-release, yet there are already 752 courses accessible. That number is growing steadily too. Each of the three pre-loaded worlds contains four courses, with nine holes, totalling 36 holes in each world. The online course browser makes easy work of searching through the other hundreds of user-created courses to play. The attached leaderboards offer a good incentive to replay also. 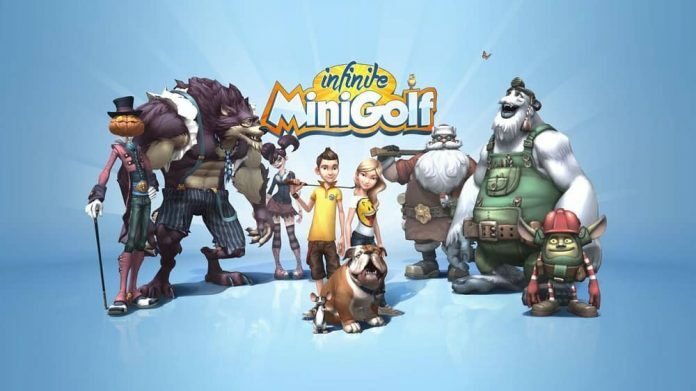 And of course, any course can be played in single or multiplayer making Infinite Minigolf a great party game! 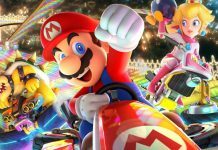 Its turn-based nature, fun visuals and easy to pick up and play controls make this an excellent choice when wanting to play something casual with friends. During my playthrough, I didn’t manage to play any online games through the matchmaking service – due to low player numbers pre-release. However, matchmaking with a friend already in the same party was easy and stable. With each course comes separate, optional challenges, akin to side-quests, such as using a specific power-up or sinking a hole-in-one. These challenges feed into the game’s overall progression system which awards you cards to spend on cosmetic upgrades. Coins are earned by completing optional challenges, which in turn can be used to purchase more cards and upgrades. It’s good to see that unlockables don’t effect gameplay as they’re purely cosmetic, though it means your character’s levelling up has very little purpose other than unlocking more items of clothing locked behind a level-cap wall. It’s understandable why this is the case, as skill upgrades would unbalance online play. Nonetheless, it feels like an under-developed system. Other than the progression system, the only other foul the game commits is its soundtrack. It’s not bad, just certainly not memorable. A cheerful mix of poppy melodies that fit the tone, but just aren’t that catchy. Unfortunately, I didn’t get to experience the game in VR. Yes, Infinite Minigolf is PSVR compatible. What a time to alive! I obviously can’t comment on how the game plays in VR. However, I speculate that as long as things don’t go horribly wrong with its VR functionality, then it should be great fun! 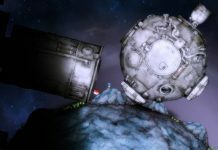 There shouldn’t be any nausea as the game is relatively slow paced. Also, golf games in general are perfectly suited for motion controls. The long-term appeal of this game will definitely depend upon building a loyal community of players, willing to share their own crazy creations. Thanks to the intuitive map editor, this is made fairly hassle free. It’s suprisingly deep, yet easy to use. There’s huge scope for interesting design possibilities, once you factor in the use of power-ups and obstacles within your courses. I really wasn’t expecting to be taken as much as I was with Infitite Minigolf. With its cutesy visuals, fun gameplay and strong editing features and customisation options, I couldn’t help but constantly smile and enjoy myself during my time with it. It certainly deserves a place among the best of its genre. 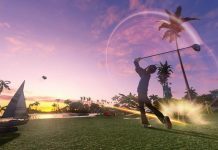 And it will definitely tide over any minigolf enthusiasts until the release of the long awaited Everybody’s Golf at the end of August. 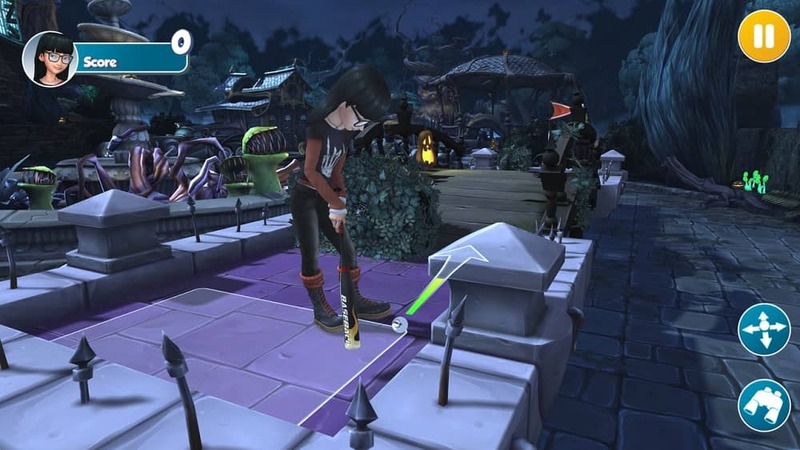 Infinite Minigolf is avilable on PC, PS4 and Xbox One. We reviewed the PS4 version.